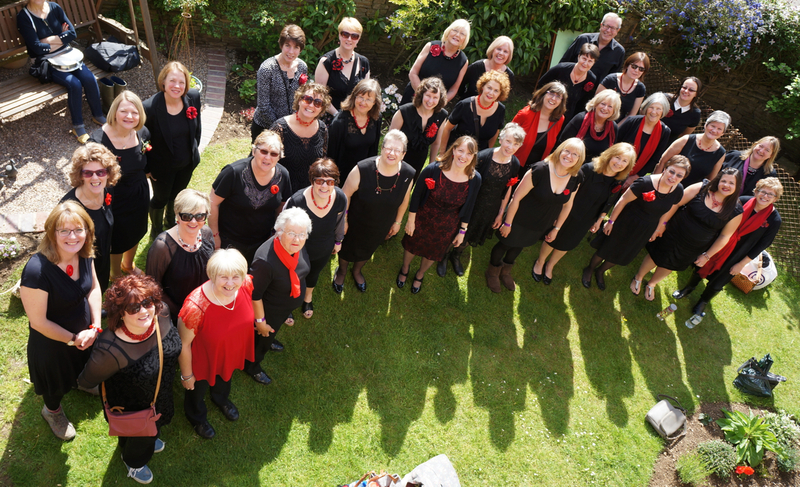 We are an amateur ladies’ choir formed in October 2009, by Claire Lee, a teacher at Fairford Primary School. She gathered together a group of parents, teachers, friends and governors to sing at a concert to raise money for charity. We enjoyed ourselves so much we didn’t want to stop singing and have carried on since then. Our numbers have gradually grown. We are now around 50 members strong. 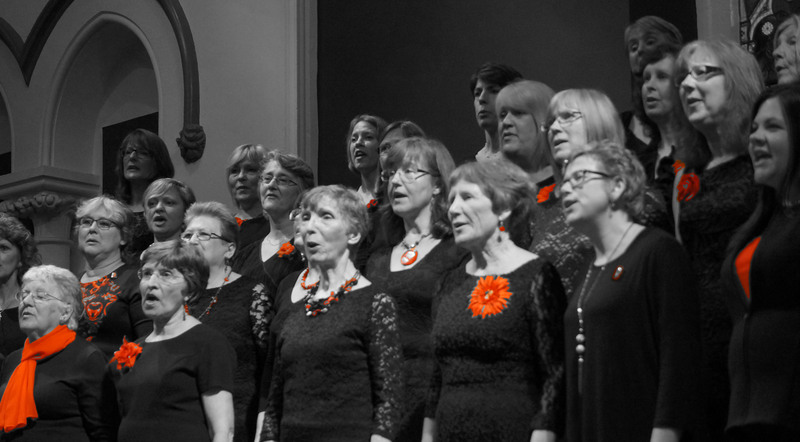 We perform at concerts, community events and weddings, and have recently performed at the Royal Albert Hall. We are always happy to welcome new members: have a look at our 'Join Us' page for details. We are very much looking forward to our concert with the Torridge Male Voice Choir, 18th May, in Bradworthy Church, Devon. Locally we are performing in the marquee on the cricket ground for the Fairford Festival, Sunday 9th June, 1.30-2pm. See festival website for all events in a fun-packed summer weekend. Copyright © 2019 A Splash of Red. All Rights Reserved. Designed by bavotasan.com.